What makes go-kart racing so much fun and such a favourite type of sport in the UK is the intricacy and thoughtfulness of the tracks. Some are made with made tight curves and have some technical aspects to them. They are not just a straight flat run surface as they are comprised of different twists and turns that add to the excitement of the activity. For those that want to enjoy karting in North Wales, they will definitely want to take a look at the Glan-y-Gores circuit. 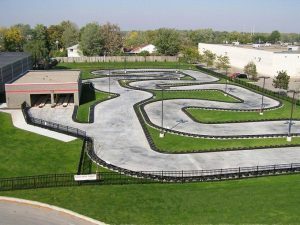 What makes this particular track so impressive is that it has changes to its elevation, plus it has challenging corners and a finishing section that escalates the fun and excitement of the ride. In respect to length, this circuit is 1,100m in length. For those that want an experience that a professional karting driver would have it means taking a run on the Paul Fletcher International track. What makes this particular track intriguing is being able to double back on to it , as well as its bridge. This track is so impressive that it was used for the 2017 world championship. For karting drivers that really get their thrill from being able to take the corners and having plenty of them to do so in means that Buckmore Park track will probably be the one of choice.